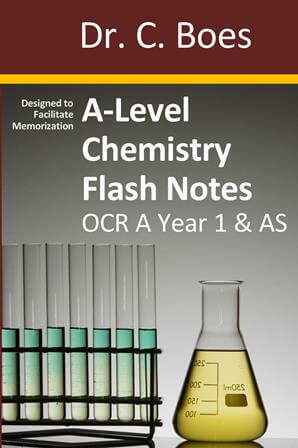 These condensed Revision Notes (Revision Cards/Flashcards) are an effective and successful way to prepare for exams. They contain all the necessary exam knowledge in a short, easy to memorize form. They break topics down to 1 or 2 pages of what you need to know. 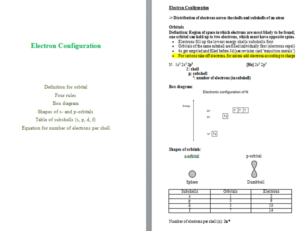 Each page covers the key facts, such as definitions and equations, without the distraction of unnecessary information. 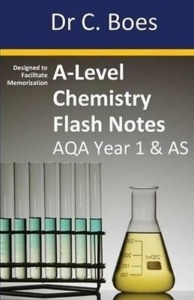 Having been a successful Chemistry Tutor for fourteen years, my knowledge and experience of A-level Chemistry exams is reflected in the content of these notes. They are recommended by teachers and created specifically for the new syllabuses (from September 2015) of the four main exam boards: AQA, Edexcel, OCR A, OCR B (Salters). Get ready for the exams with this great revision tool! While these notes also help with understanding, they are rather designed for the just learn stage of revision. If general understanding is lacking then help from a professional tutor and additional studies of text books or revision guides, is suggested. FREE UK Delivery: Your order will be dispatched same or next day with Royal Mail 1st class (average shipping time: 2 – 3 working days!). OCR B Year 2 Out of Stock. Please get the PDF or order it from Amazon. “My daughter wishes they had this book in Biology, it is that good.” Alison Laycock, Amazon customer. “This book is fantastic. It has all condensed A2 notes superbly written. Thank you Dr C. Boes for this life-saving book!” Nelly, Amazon customer. 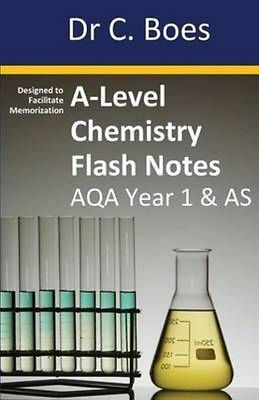 Please contact me if you are Chemistry teacher and would like a complimentary copy for yourself or your school library. These books can also be purchased as PDF documents from my ebook shop. Try the FREE SAMPLES in the ebook shop! Carry these notes with you on your phone, tablet or laptop. Use the search function to find topics and keywords. 10 % of profits generated by selling these books will go to a Buddhist charity. Please contact me for any queries or questions. The revision cards are introduced by their titles and keywords on a separate page. After reading the title you should try to write down the content of the card without looking at the next page. The keywords give you hints about the content. Write down everything you remember, even if you are not sure. Then check if your answers are correct; if not, rewrite the incorrect ones. At the beginning, when you are still unfamiliar with the cards, it might help to read them a few times first. If they contain a lot of content, you can cover the revision card with a piece of paper and slowly reveal the header and sub content. While you uncover it try to remember what is written in the covered part, e.g. the definition for a term you just uncovered. Do not just read the card – always cover the content! This uncovering technique is for the early stages, later you should be able to write down the whole content after just reading the header. If this is the case, move to the next card. If not, bookmark the card and memorize it repeatedly. Do at least three to four sessions per week until you know all the cards in one chapter word-perfectly. Then move on to the next section. Generally it is better to do shorter sessions more often than longer sessions less frequently. An even better option is to ask somebody to check your knowledge by reading the header aloud and comparing your answer to the content. Alternatively, get together in learning groups and support each other. 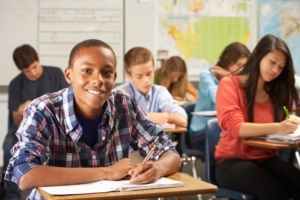 Discuss topics which you don’t understand; your friend might know the answers or ask your teacher or tutor. It is important to plan your revision well in advance of the exam. Preferably, flashcards are created and memorized parallel to topics of the school lessons. However, the actual revision phase should begin around 8 – 10 weeks before the exams. 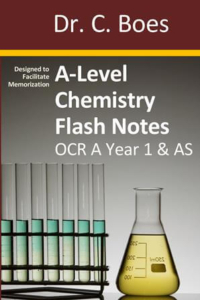 The first half can be used to go over all topics and to write and memorize revision cards. The last phase should just be pure memorization and practising past papers. A revision plan or calendar helps to organize the revision time effectively and ensures all subjects are covered proportionally. The term breaks leading up to the exam should be used to boost revision and many of the revision lessons can be clustered in this time (term dates). It is essential to pace yourself correctly, which also means having the right amount of breaks. After one hour revision there should be a 5 – 10 min break. 3 – 4 hours should be followed by a longer break of 30 – 60 min. 8 – 10 hours of revision can be assigned for a typical full revision day during holidays and study leave. One day per week should be a full rest day with no school or revision work. This break day is very important because it helps the new knowledge to settle. In each term break 2 – 3 days can be set aside as rest days. Please do not wait to begin your revision until the school lessons have stopped and cram everything in the last few weeks. The amount of knowledge of all three or four A-level subjects exceeds the capacity of your mind and you will exhaust yourself. Your knowledge will be scattered and confused. This is also the reason, why you should not revise on the day before the exam. This should be a rest day, so that your head is clear and you are well rested for the exam. 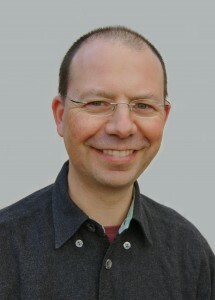 This is especially important for Chemistry, which is based on deduction and analytical thinking, requiring a sharp mind. Practise exams by doing past papers under exam conditions with no supporting material (e.g. books, flashcards) other than officially allowed ones: calculator, periodic table, data table (IR, NMR etc.). Set a timer and stop writing when the time is up. Check your answers with the official mark scheme. In this way you get used to the exam questions and how to correctly present the answers. You will also become familiar with the exam situation and get to know your weaknesses and strengths. Calculate your grade and see if you improve over time. Practise as many papers as possible. If you run out of past exams, continue with other exam boards. When the day of the actual A-level exam arrived: don’t panic! You are well prepared for it by having memorized the flashcards and practised past papers. Begin with a quick look through the exam. How is it structured; what topics are coming up and how many questions are there? Then work systematically through it from the beginning, but keep an eye on the time. When you fall behind shorten your answers and leave difficult topics for the end. Circle, underline or highlight the important information/data in the question. If just names for compounds are given, write the chemical formula above it (e.g. sulfuric acid -> H2SO4). Circle the functional groups in an organic formula and name them. 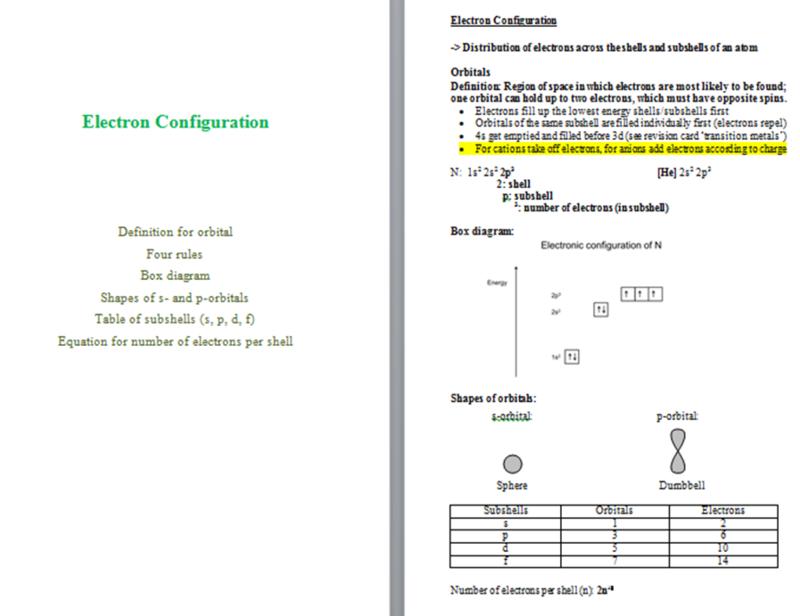 Draw the carbons and hydrogens in skeletal formulae or displayed formulae if the structural formulae are given. Make sure you read the question thoroughly and be aware what actions are expected from you from the command words used. Identify the topic of the question and mentally bring up the flashcards associated to the topic. They will help you with the answer. If you have problems understanding the question, read it again slowly and also read through the follow up sub-questions (a, b, c etc.) sometimes the topic and the initial question becomes clearer. If you still do not understand the question or cannot come up with all the answers, do not spend any more time on it. Write down your best answers or just standard keywords/phrases from the flashcard. Writing something is better than writing nothing. You might still get some marks for it. Circle/mark the question and come back to it at the end of the exam. For multiple choice questions: read all answers and strike through the ones which are definitely wrong. Choose the correct or most likely of the remaining ones. If you have no clue take the longest answer. Always choose an answer -> you have at least a 25 % chance to get it right :-). Do not spend too much time on a questions. Rule of thumb is 1 min per mark. If you are unsure, circle/mark the question and come back to it at the end of the exam. When you have finished all questions, go back to the ones you had problems with. Read through the complete question including sub-questions again. Sometimes the answer or hints to it, can be found in the sub-questions. Then go through all the other questions and answers and look for obvious mistakes. Disclosure: I am a member of the ‘Amazon Associates Program’. I earn a commission from sales created by affiliate links to Amazon.